This post has been taken directly from Terry Tyler’s BlogSpot (with her permission, of course!) Feel free to copy and paste the same onto your blog – it’s all about spreading the word on #AugustReviews far and wide! The idea is that, during August, everyone who reads this uses their Amazon account to post just one review on one book that they’ve read (but feel free to carry on if you get in the swing!). You don’t even have to have read it recently, it can be any book you’ve read, any time. The book does not have to have been purchased from Amazon, though if it is you get the ‘Verified Purchase’ tag on it; however, if you download all your books via Kindle Unlimited, as many do these days, they don’t show the VP tag, anyway. 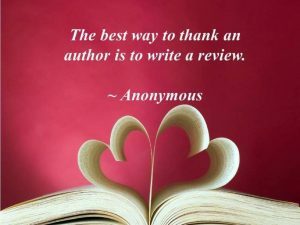 Would you like to tell the Twittersphere about your review? If so, tweet the link to it with the hashtag #AugustReviews ~ and thank you! I will do one blog post a week featuring these links: The #AugustReviews Hall of Fame (thank you, Barb!). 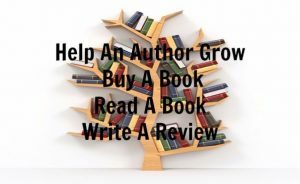 This entry was posted in Reviews, Writing and Sharing. Bookmark the permalink.